By chance we visited Eyam last Saturday, just as the community was proceeding through town as part of their annual well-dressing celebrations. 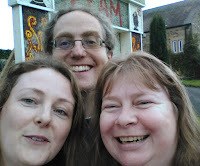 Since we were there we thought we would mingle for a while. 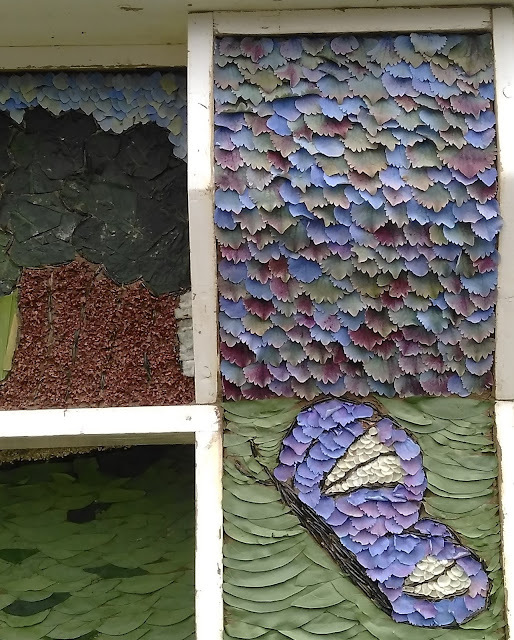 Flowers, plant foliage and berries are the key items used to 'dress the well', which is done like a mosaic on a board. 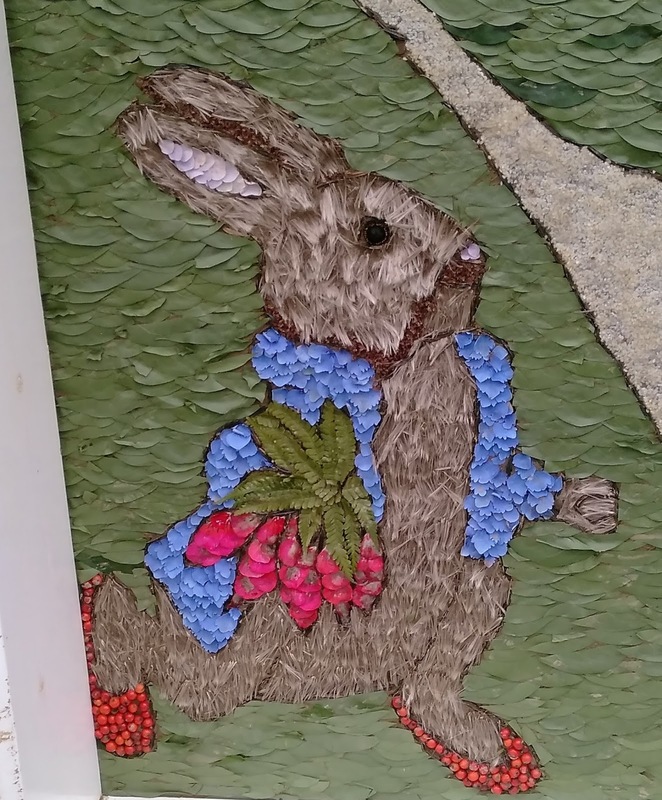 I love the detail on this rabbit. Hydrangea petals, berries, ferns, so beautifully combined. Well-dressing has it's roots in the Peak District apparently, and possibly originated in Tissington in 1349, the year the Black Death came to the UK. 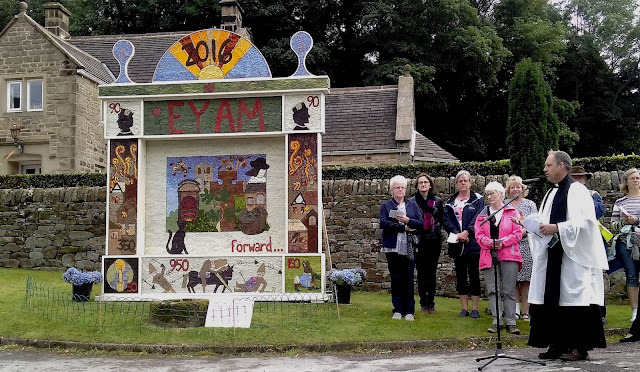 We had seen some wonderful well-dressing in Tideswell in July 2013, but this was the first time we attended the formal blessing of the wells. I am not a religious person, an ex-Catholic who has been happier since leaving the church. But I found this (Protestant) blessing quite moving. 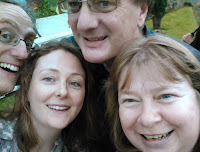 It was about community, and taking the time to thank others for being part of our lives. The priest speaking to the community at one of the main wells. The theme of this dressed well was commemorating 950 years since the Battle of Hastings, 350 years since the great fire of London, 150 years since the birth of Beatrix Potter and 90 years since the birth of queenie. 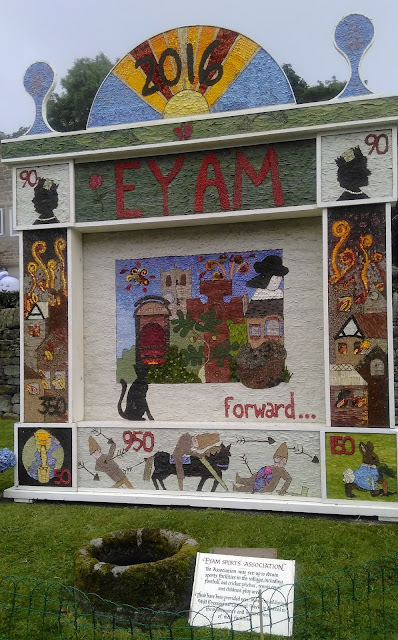 I thought the detail of the Battle of Hastings, using the Bayeux Tapestry motifs, quite wonderful. Some of the houses were also 'dressed'. 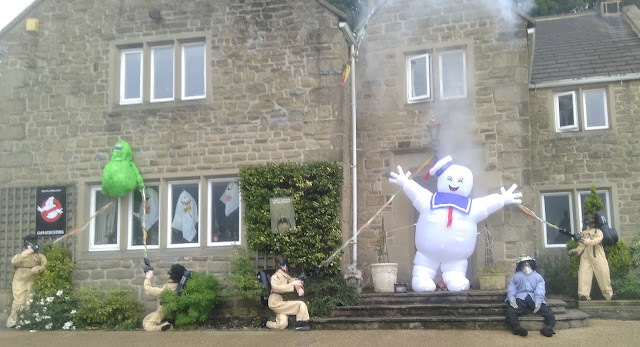 We thought this Ghostbusters one was rather good. 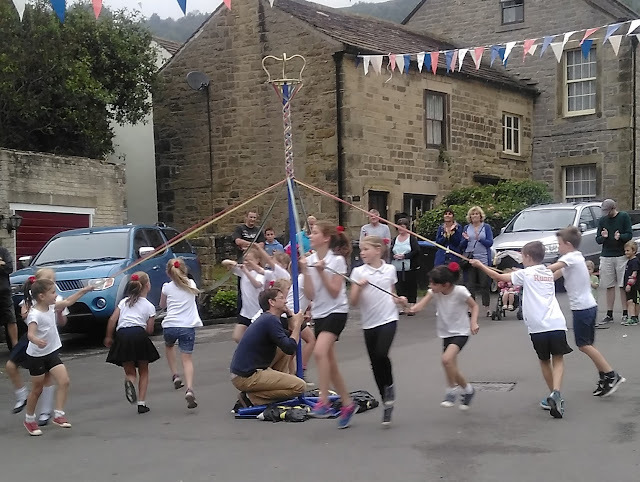 And in another part of the village, children danced around the Maypole, creating a rather pretty and intricate pattern. It was an accident that we ended up in Eyam just at the right moment, but a most fortuitous and enjoyable one. 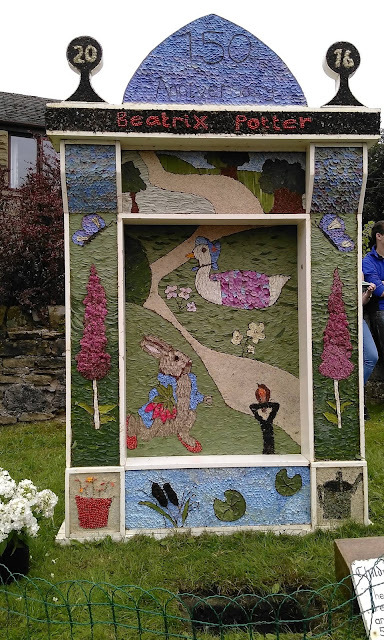 And when I say we, I'll let our 'well-dressing selfies' explain. 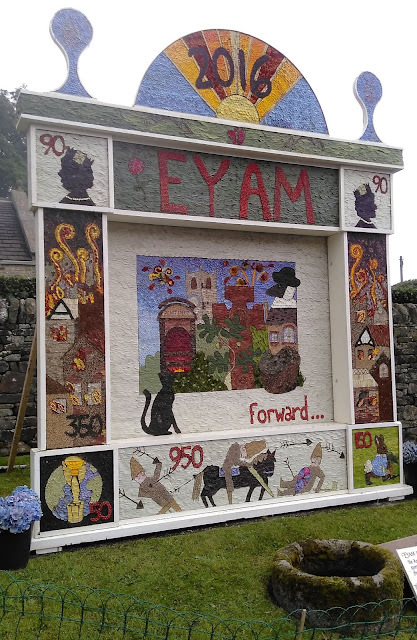 The Eyam well-dressing continues to Saturday 3rd September. The detail is rather fabulous. Must have taken hours with all those petals.